CLARK COUNTY — Two years after the Board of Clark County Councilors approved their 20-year Growth Management Act, the comprehensive plan remains tangled in legal challenges. Now, the current council is facing new criticism from the building industry. The 20-year plan was adopted in June of 2016, but quickly challenged by several groups. 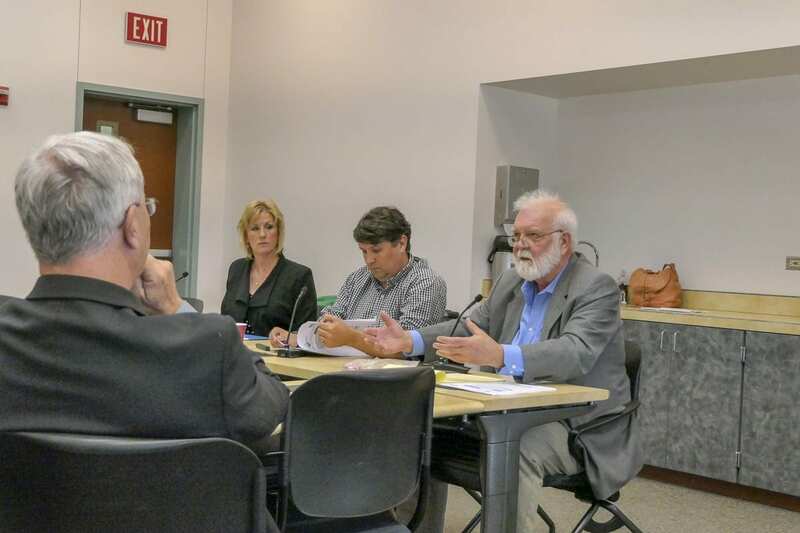 The state’s Growth Management Hearings Board ultimately sided with two environmental groups, Futurewise and Friends of Clark County, on a number of issues. They ruled the county broke state law by reducing the minimum lot size for agriculture from 20 to 10 acres, and forest lots from 40 to 20. The county was also dinged for not allowing enough types of rural densities, creating an industrial land bank on the Lagler dairy farm along 117th, and allowing cities such as La Center, Battle Ground, and Ridgefield to annex rural land into their own urban growth boundaries. The county has addressed many of those issues, but the Growth Management Board was still critical earlier this year of their policy regarding how cities within Clark County can expand their own borders. The county is currently appealing that ruling. The upshot is that, two years into the 20-year growth management act, many aspects of it remain unclear. Now the building industry is opening a new line of criticism, and sounding alarm bells over a lack of room for new homes that could lead to a spike in housing costs, which have already been climbing steadily in recent years. 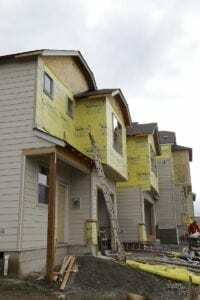 At a recent County Council work session, representatives from the Building Industry Association of Clark County (BIA), and the SW Washington Contractors Association, made their case that the inventory of land available for new housing developments is already dangerously close to a crisis level. Jamie Howsley, a land-use attorney with Jordan Ramis PC, and government affairs director for BIA, says the state mandates that the Growth Management Act focus in part on making sure affordable housing is available, generally meaning homes that don’t cost the buyer more than 30 percent of their monthly income. The GMA outlines 13 goals that counties using the GMA should focus on. BIA believes the hearings board has placed too great an emphasis on the environmental part of those goals. The Office of Financial Management (OFM) supplied the population growth data used by Clark County in creating their 20-year comprehensive growth plan. While the county had a range of numbers to select from, the growth estimates were based on data from 2007-2012. Howsley tells ClarkCountyToday.com that the resulting 1.1 percent annual population growth estimate has proven to be woefully short of reality. Their numbers, based on more recent census data, pegs the growth at around two percent per year. Every April OFM releases updated population growth estimates. Their most recent chart shows Clark County’s population growing by well over 13 percent between 2007-2017. That would break down to around 1.35 percent annually, however the building industry believes that growth has accelerated to around 2.2 percent per year over the past half decade. BIA also believes the county is being overly optimistic when it comes to available land within the urban growth boundary. They believe that a larger percentage of owners are unlikely to sell, or else wetland mitigation and shoreline rules make a larger-than-anticipated number of acres overly expensive to develop. That means even if they are ultimately developed, it wouldn’t be for affordable homes. According to BIA’s numbers, Clark County currently has room for around 48,000 new housing units. They believe that when the number dips to 45,000, the area will see a corresponding leap in the cost of land, leading to higher housing prices. The question then becomes, if people are going to move to Clark County no matter what, where do we put them? Howsley points to places like Eastmoreland in Portland, where the city has tried to infill with higher density housing. The existing neighborhood has been quick to fight back against the change. While he’s quick to say that the building industry doesn’t want a departure from rules meant to protect the environment and quality of new neighborhoods, Howsley says there needs to be a more honest conversation about how to balance the need for more housing with the desire for a high quality of life, available farmland, and infrastructure needs. 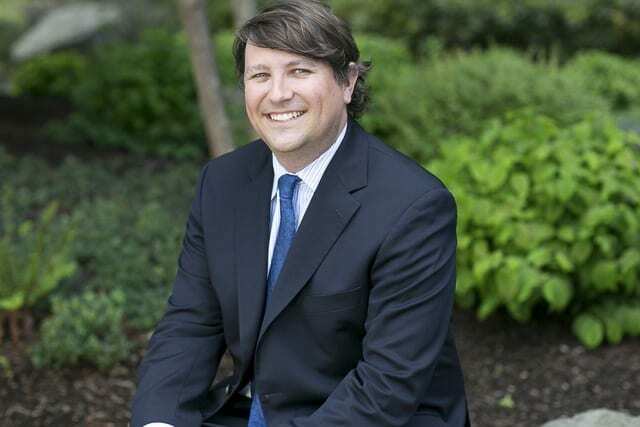 According to Howsley, what the building industry really wants are the tools to better see where things are headed. For the county, they’re hoping the Growth Management Hearings Board ultimately provides better clarity about how they can manage the growth. Even the word “manage” is a loaded proposition, says Howsley. That proactive approach, he says, should include managing our infrastructure as if growth is coming. Had that been done, there likely wouldn’t be as much hesitation about putting in higher density areas. As it is, there is clear concern that many places are an apartment complex or two away from gridlock, which only further frustrates the people who already lived in the area, and isn’t attractive to people looking to move there. The city of Vancouver, Battle Ground, and Clark County are all also in the process of setting up their long-range transportation improvement plans, and these discussions about how to not only handle existing growth, but prepare for future inhabitants, are a part of that discussion. Of course, resources are also far from unlimited, and there’s plenty to say on the subject of new fees or taxes to pay for the roads that can handle the influx of residents in Clark County. As for what Clark County leaders can do to address the concerns of both BIA, as well as Friends of Clark County, Futurewise, and Clark County Citizens United, it’s hard to say. The process of developing a growth management act is essentially balancing copious amounts of existing data with projections that may or may not end up panning out. While state law allows for some adjustments of the plan, doing so requires close cooperation with every city within the county. Meanwhile, it’s unlikely that the county council will make any other major changes to the 20-year plan until after the hearings board releases their final decision sometime later this year.